Blanca Commercial Real Estate has successfully handled the long-term lease of 19,000 ft.² of Class A office space at 1450 Brickell to the global insurance broker Willis of Florida Inc. This means the building has achieved 70% occupancy in just 18 months. The move represents an expansion for Willis of Florida Inc., who is relocating their Latin American headquarters to 1450 Brickell. Willis is a London based company that employs about 20,000 people at more than 400 offices in 120 countries. Their US headquarters currently have naming rights at the nation’s tallest office tower in Chicago (formerly the Sears Tower). The insurance broker is the latest large corporate name to lease space. Other major names include JP Morgan Chase, American Express, BNY Mellon, Bilzin Sumberg Law Firm. Tere Blanca and Danet Linares of Blanca Commercial Real Estate represented the landlord 1450 Brickell, LLC and Rilea Group in the transaction. Willis of Florida was represented by Josh Kuriloff and William Holly of the Cushman & Wakefield. 1450 Brickell is well located and is within walking distance of more than 30 retail businesses, restaurants and high-end hotels. 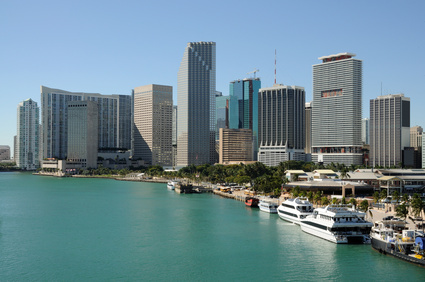 It is also close to several public transportation systems including Miami’s Metromover. Tenants enjoy panoramic views of Brickell Avenue, the city of Miami and Biscayne Bay through floor-to-ceiling windows, while the wide open floor plates maximise the flow of natural light. The building has achieved LEED Gold certification and has superior construction quality. Allison Halliday is a Realty Biz News contributing writer. She handles International Real Estate and is a seasoned blogger.